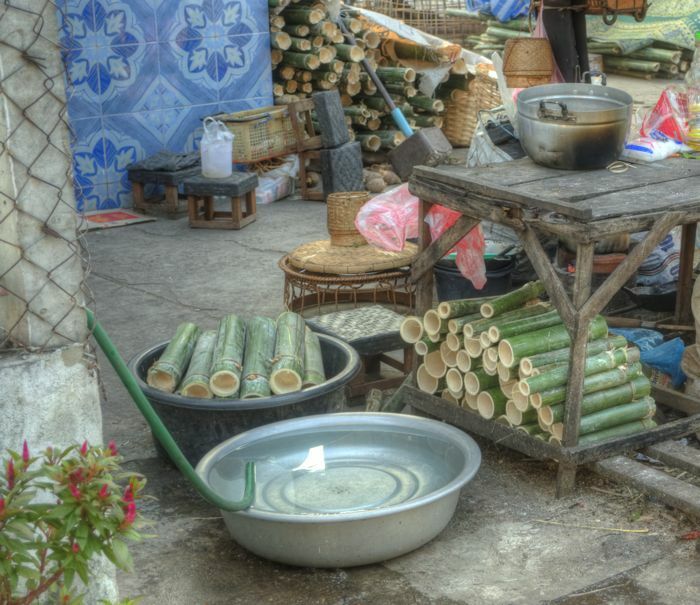 The rainy season seems to be finished and now we're into the cool clear days of winter. I'm back in my morning run/ walk routine and passed a neighbor's house. Their business is khao lahm, a confection made from sticky rice, black beans, sweetened coconut milk and shredded coconut - steamed in bamboo tubes. 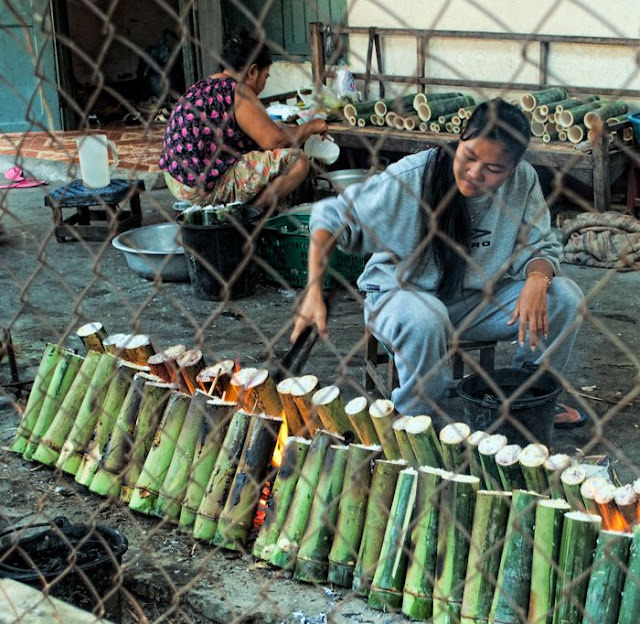 When the cooking is done, the vendors strip off the outer layer of the bamboo so when you buy it, you peel back the inner layer of bamboo to eat the sticky rice, which has been colored purple by the beans and is very sweet. Yum. A few photos to contribute to That's My World Check out other pictures from other people's worlds!